Now I'm going to start Writing about my Temple visit under the Series: 19th Pilgrimage to Sri Sai Baba Temples. This is the 3rd temple of Sri Shirdi Sai Baba on which i'm writing article that I visited during my 19th Pilgrimage to Sri Shirdi Sai Baba Temple on Tuesday, 26th December 2017 at Chennai, Tamilnadu. 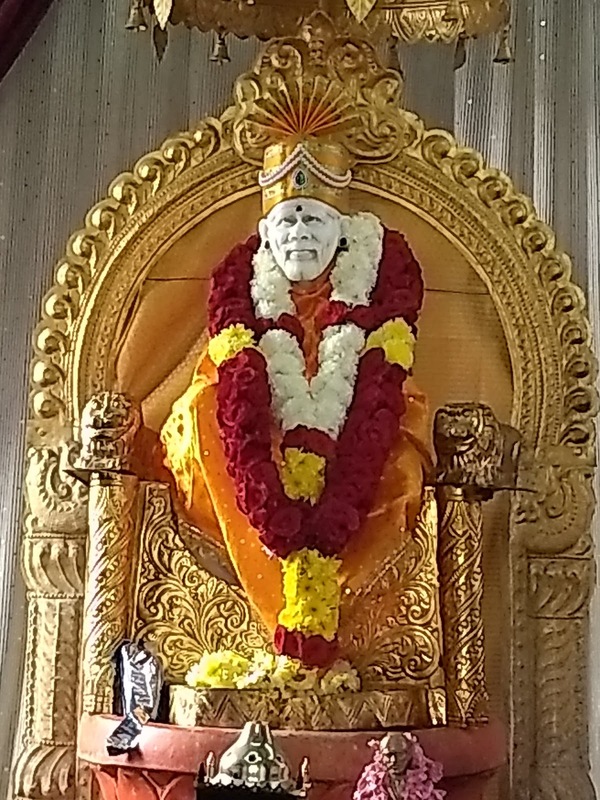 This is the 149th Sri Shirdi Sai Baba Temple on which I'm Writing An Article under Pilgrimage Series. 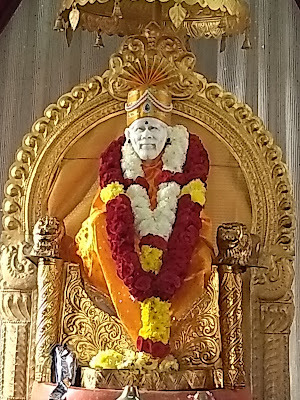 Raghav's Sai Baba Temple Pilgrimage Series. 1. 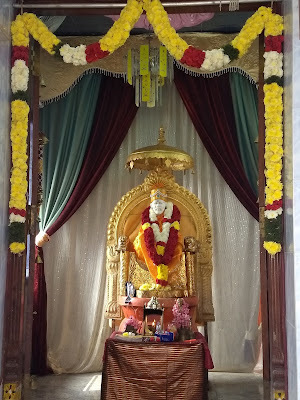 Sri Shirdi Sathguru Sainath Temple, Renukambal Nagar, Kelambakkam, Chennai. 2. 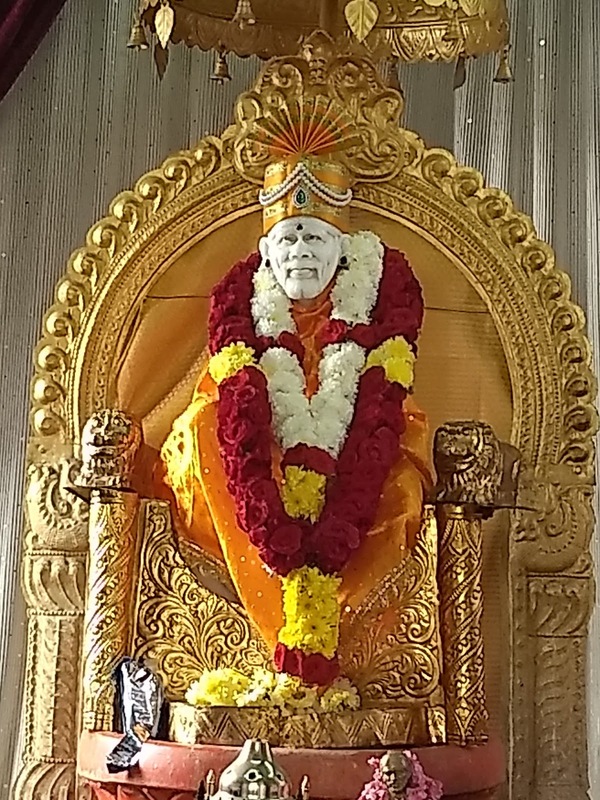 Sri Shirdi Shakti Sai Baba Alayam, T H Road, Tiruvetriyur, Chennai. 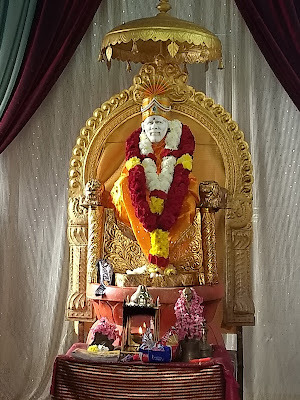 I am Happy to Visit Sri Sai Baba Sanctum at Sri Satya Sai Seva Samithi Building, Madambakkam, Chennai for Puja & Darshan. In Today's Alankaram Baba is Wearing A Yellow Colour Dress with Yellow Pagdi. 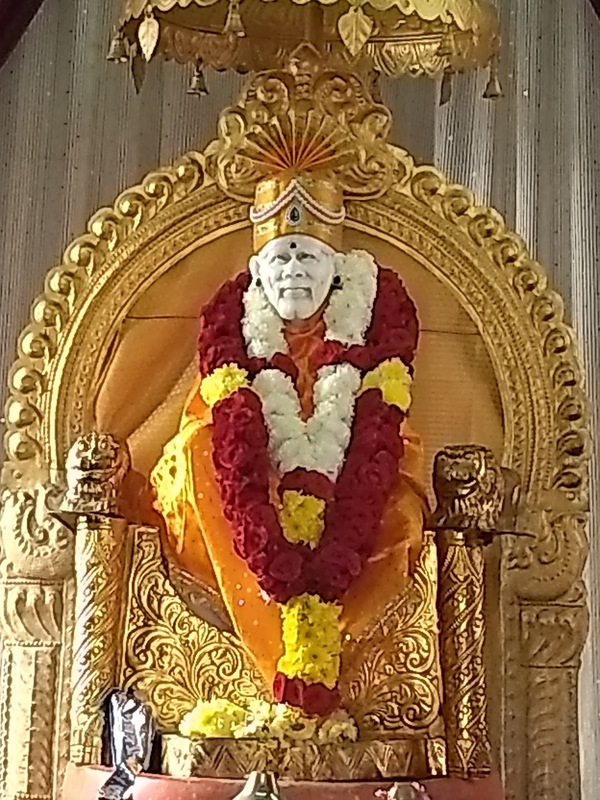 A Simple Garland has been put on Baba Today. 1. This is a Small temple Sanctum 2.5ft Statue of Sri Shirdi Sai Baba. 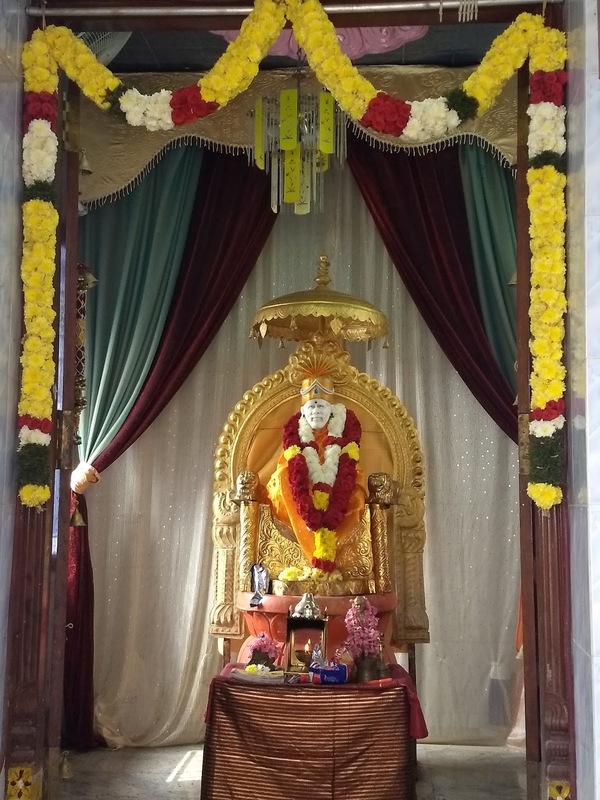 This Sanctum has been installed at the Sri Satya Sai Seva Samithi at Madambakkam. Sri Shirdi Sai Baba Temple. This Temple is on the Right Side of the Road Leading to Sri Dhenupureeswarar - Shiva Temple.